Promotions TELLTALE. 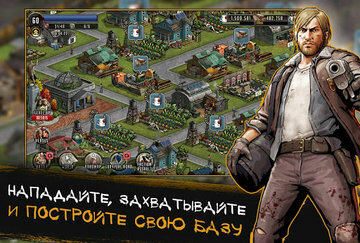 Lee Everett, Clementine and other characters, "The Walking Dead" from Telltale join the game "The Road to Survival" in the newest adventure! 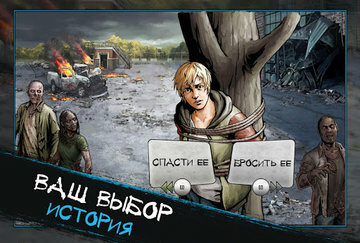 For a limited time get FREE RARE CHARACTER such as Lee Everett, in the game "The Walking Dead: The way to survive." 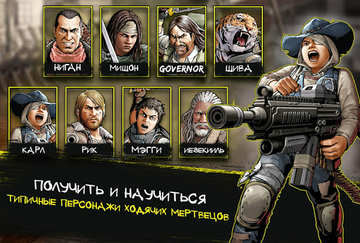 Ready to go to Woodbury and put an end to the tyranny of the ruling Governor maniac? 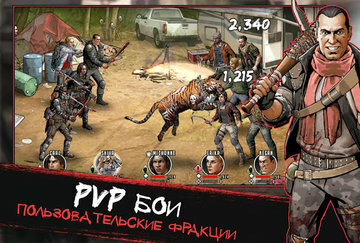 Rip out the victory in a fight for his life with the Dead zombies in a new role-playing game The Walking Dead - only you decide who lives and who dies. Poured into a new story based on the graphic novel The Walking Dead and collect otvyaznyh command of the surviving soldiers. Teaming up with Rick, Glenn and Michon in the struggle against the dictatorship of insane maniac. 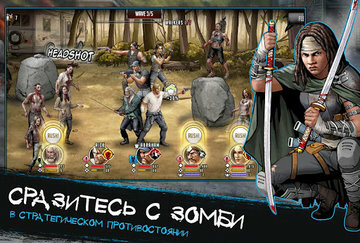 Crash survivors and dead enemies best weapon killer - you see, even deadly katana Michon! And pumped his team fought back the enemy raids. Won a trophy in dangerous missions 1 1 with other players, and against all, to strengthen and protect your base. This zombie apocalypse no end in sight, but the decision to kill and survive, or give up and die depends on you.